There are entrances to the Lyric Theatre on 42nd and 43rd Street, with an accessible entrance on 42nd Street. Entrance to the building is at street level with access to an elevator to the Orchestra and Dress Circle levels. Please request wheelchair seating from a sales representative at time of purchase. We have designated ADA locations in both the Orchestra and Dress Circle levels, with elevator access available to both. There is no elevator access to the Balcony level. Accessible restrooms are located in the Dress Circle lobby. If you have any questions about your accessible seats please call 212-556-4700. Cursed Child is pleased to offer GalaPro, a free app for on-demand captioning and audio description that you can use on your personal smartphone device. GalaPro makes theatre accessible for patrons who are hearing or sight impaired, or just don’t want to miss a word of the show. 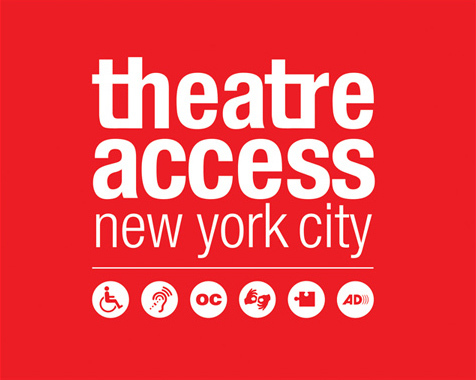 Learn more about accessibility services on Broadway, please visit Theatre Access NYC.